The Refugee Council’s News Review rounds up media coverage of issues relating to refugees and asylum for anyone who wants to keep up to date with the latest developments. Child detention dominated the asylum news this fortnight: Nick Clegg confirmed an announcement on child detention would be made before Christmas, charities slammed a new centre for families being removed, and a Refugee Council client spoke out about his experiences in detention in a Channel 4 documentary. The Guardian reported that Nick Clegg is seeking approval from the cabinet to set a date for ending child detention. Clegg announced that the government will confirm how they plan to end child detention by Christmas, while speaking to members of Citizens UK London assembly. The BBC reported on the situation for migrants and asylum seekers in detention in Greece, since the EU sent its border force to assist Greece with controlling its borders. The Daily Express also picked up that numbers of asylum seekers and illegal immigrants coming to Europe via Greece has increased by 369% this year. News that asylum seekers in Glasgow would no longer be evicted from their homes without notice was covered in the Scottish press. MPs are now set to probe why the UKBA ended its contract with Glasgow City Council to house 1300 asylum seekers. Society Guardian interviewed asylum seekers set to be evicted from their homes in Glasgow about their concerns. Channel 4’s Dispatches: The Kids Britain Doesn’t Want, told the harrowing stories of three young asylum seekers who have been treated brutally by the UK asylum system. A Refugee Council client shared his ordeals in detention in the UK, as a result of his age dispute case, and our staff currently working to support him also appeared in the programme. See our news story here, and read a Q&A with our children’s adviser Francesco Jeff on our Poliblog. The Independent reported the story of a Zimbabwean asylum seeker who was freed from detention in the UK, after the South African embassy intervened in the case. British model Lily Cole’s visits to refugee camps in Burma to raise awareness of the plight of people living on the Thai border, some for more than 20 years, were covered widely in the press. Cole is fronting Christian Aid’s Christmas appeal. The Observer ran a front-page story on criticism of new accommodation that will be provided for families of asylum seekers prior to their removal from the UK, as an alternative to detention. BID, the Children’s Society, and the Refugee Council spoke out against the new measures. The number of people applying for asylum in the UK has fallen by 13% since this time last year, according to new Home Office statistics – and numbers have now been falling for 15 successive months. The new figures also showed that at least 35 children had been detained in the last quarter, as reported in the Guardian. See our response here. In a Guardian article, destitute asylum seeker Lydia Besong describes how she found the strength to write a play about her experiences. 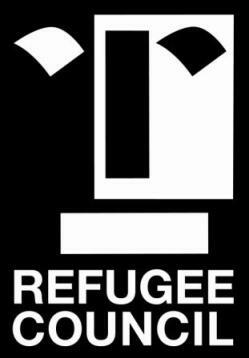 The play was performed by members of Women Asylum Seekers Together, at the Riverside Studios in London on 28 November to rave reviews. The UK announced it would continue returning people to Iraq, despite a European Court ruling that those who appeal against their return will automatically be allowed to stay.